Inspired by William Morris flower patterns. Using a green and red theme each card is supplied with a white envelope. All of our cards are left blank inside for your message. 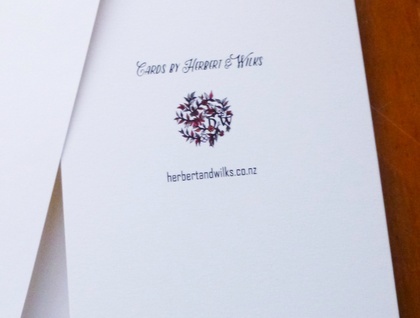 We print all our cards locally here in New Zealand but we can ship anywhere worldwide. 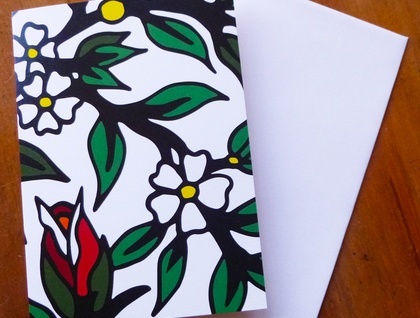 A digitally printed card on 300gsm off-white card stock. If you would like more than one card please message me and I can set you up a custom listing. Any other questions please just ask!